When I beat Super Mario Bros. for the first time last year, I felt I had marked an item off of a video game bucket list. It was a momentous achievement not just because it’s such an influential and important game to the medium, but because it was challenging as well. It took many, many failed attempts, progressing slightly farther each time before I was able to conquer Bowser and when I did, I felt like I accomplished something! For the same reasons, I’ve recently come to the Mega Man series. 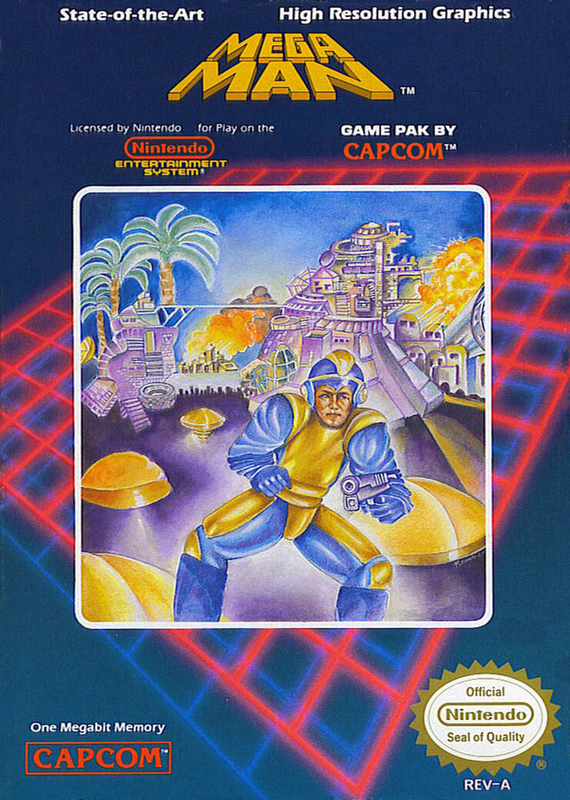 For someone who fancies himself a collector and a knowledgebase of video games, it’s been hard for me to reconcile the fact that I’ve only played one Mega Man game; not even a core title in the series either but a spinoff: Mega Man Network Transmission. With compilations of both the classic and X series, I decided it was finally time to rectify this omission. With little deliberation, I shelved the Mega Man X Collection and decided to begin where the franchise did: with Mega Man. Granted, playing the Xbox version of Anniversary Collection on the Xbox 360. This game had plenty of tricky platforming sections. It didn’t take long to dawn on me once I’d started, but this game and this series helped define the action-platformer. In a basic sense, Mega Man plays like Super Mario Bros. with guns. It retains the precision platforming of that game while featuring more frantic action, especially with the bosses. The stages are relatively brief affairs but each one hosts unique platforming challenges. Even with their brevity, it would always take multiple continues before I could reliably reach the boss; if I didn’t decide to halt that stage for the moment and move onto another after losing my stock of lives. Another influential aspect of this game is the open-ended nature in completing it. 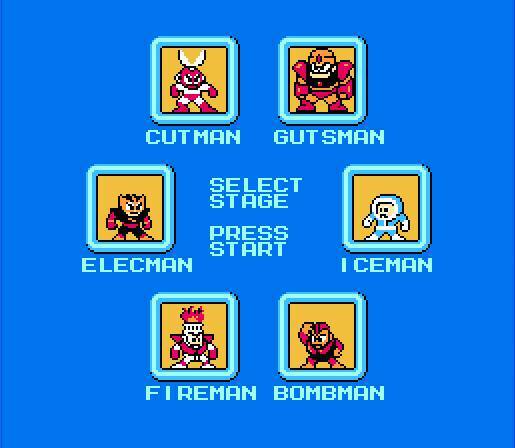 Before Mega Man has the opportunity to settle his score with Dr. Wily, he first has to beat six of the mad scientist’s robot masters. Their stages could be selected in any order and what’s more, once beaten, Mega Man obtained their weapon. I could freely switch between the weapons Mega Man had acquired and was rewarded for doing so as each robot master was weak to another’s weapon. After obtaining a new weapon, I’d try a stage and make it to the boss to see if it was weak to the weapon just acquired and do so until I found my match. The ability to select the stage order was something of a novelty when Mega Man released. Once the robot masters had been defeated and the path to Dr. Wily became available, the challenge really began. I went through a decent amount of continues before reaching the Yellow Devil. This iconic Mega Man boss was highlighted to me with his annoying inclusion in Super Smash Bros. for Wii U where he transfers chunks of his body horizontally from one side of the screen to the other rebuilding itself, a difficult attack to evade. Now I know where that originated. That exact same tactic is present here and was one of the hardest video game obstacles I’ve had to overcome in recent memory, maybe since beating Super Mario Bros. last year! It took me so much time and effort (multiple sessions across a couple of days even) that I naively thought this was the final boss. Because of course it wouldn’t be DR. WILY! Come on John, think about it! So once I’d finally conquered the Yellow Devil (which literally made me exclaim WOOHOO! ), I was crestfallen to realize there was more to do… much more. 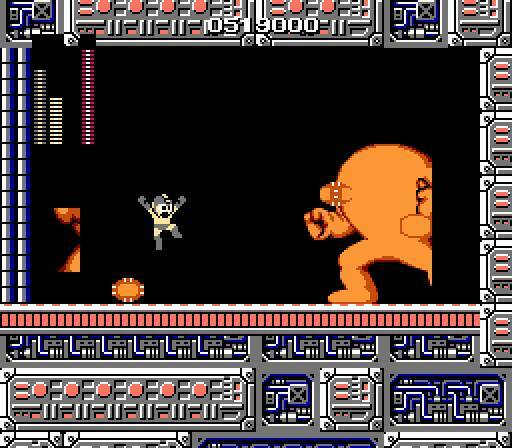 Dr. Wily’s stage was four sections long – each ending with a boss fight, or set of boss fights. Each of the robot masters that Mega Man had beaten previously had to be beaten again. Thankfully, the game allows unlimited continues and mercifully, when used in Dr. Wily’s stage, they restarted me in the current section and not at the very beginning of the stage – pre-Yellow Devil. With that ability, I was actually able to make it deep into the final section of Dr. Wily’s stage when that nightmare scenario we all have while playing video games happened – I lost power. ARGH!!! Elec Man’s weapon was the most powerful at the end of the game. With that, I was done with Mega Man. Not just for that night but for a long time. At least, that’s how I felt for the next fifteen minutes until I had a chance to cool down. This was something I still had on my video game bucket list, something I still felt I needed to do in order to broaden my gaming knowledge. A few days later I returned and with little resistance was right back where I was pre-power outage. Most thrilling of all was the rematch with the Yellow Devil. What had once taken me an eternity to overcome I could now topple in a few attempts! With the robot masters bested again and these sections completed, there was one thing left to do: put Dr. Wily in his place. Like the Yellow Devil, this was another tough matchup. Dr. Wily had two forms, each with an eternity of a health bar. After a few attempts I knew what I had to do: I had to cheese him. 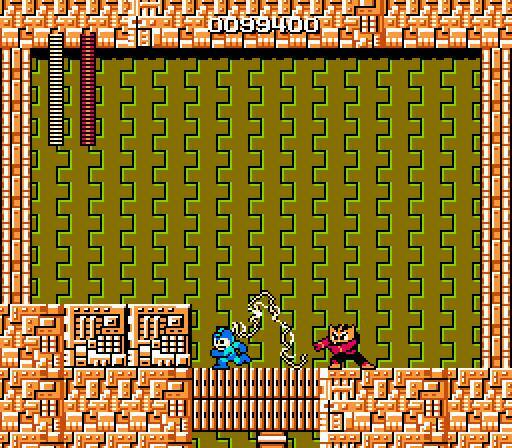 In the original Mega Man, there’s an exploit that allows Elec Man’s weapon to damage an enemy multiple times with one shot. This weapon’s projectile is long and branching like lightning. As soon as it made contact with Dr. Wily, I pressed the back button on my Xbox 360 controller – pausing the game. Upon unpausing the game, it damaged him again as if this was the first time the projectile made contact. This exploit wasn’t removed from the Anniversary Collection and I milked it across a half-dozen attempts before the mad scientist finally bowed to Mega Man. It look me too long to get Yellow Devil’s pattern down. Once I did though, I was golden. Although I wound up cheesing the final boss, I have no regrets. I overcame so many obstacles while testing my reflexes, dexterity, and memorization that I still feel accomplished. Besides, literally every FAQ and forum commenter I came across suggested the same thing. I’m not sure anyone’s beaten Mega Man without utilizing that exploit! Nonetheless, I can cross beating Mega Man off my bucket list and can feel a little more confident in my gaming prowess and knowledge. Foremost of which is the fact that Mega Man is a precisely tuned action-platformer that’s tough but rewarding. Now, onto Mega Man 2!